A little break in the continuity, because I’ve always wondered about this. 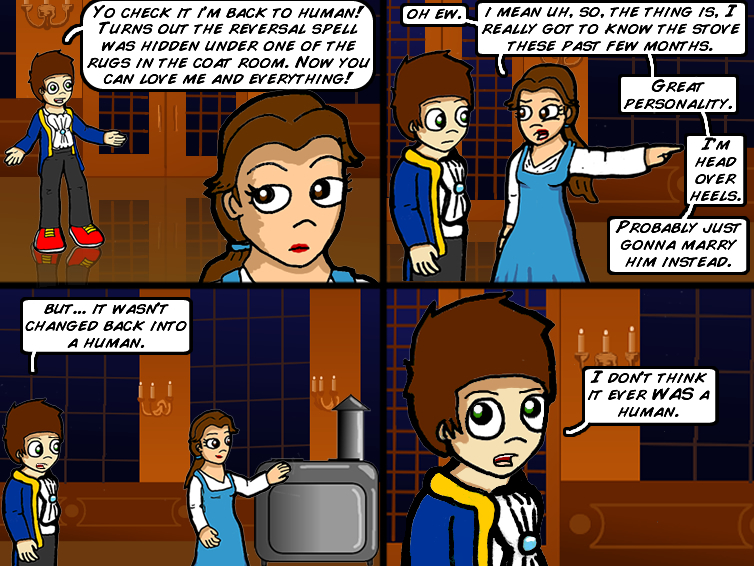 What if in Beauty and the Beast, the prince ended up being not-so-handsome, as seen above? What would Belle do? Would she have pursued Lumiere or Cogsworth or one of the end tables or another miscellaneous piece of furniture? Also were the toilets enchanted people as well? Cuz imagine having to be a sentient toilet and taking Beast’s poops!